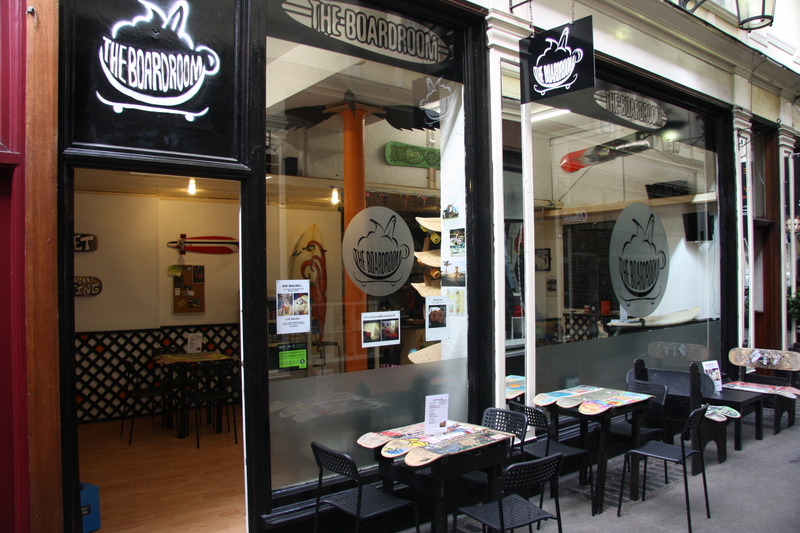 Jodie Ashdown has been wandering the arcades of Cardiff … and uncovered a new gem of a cafe. Welcome to The Boardroom! 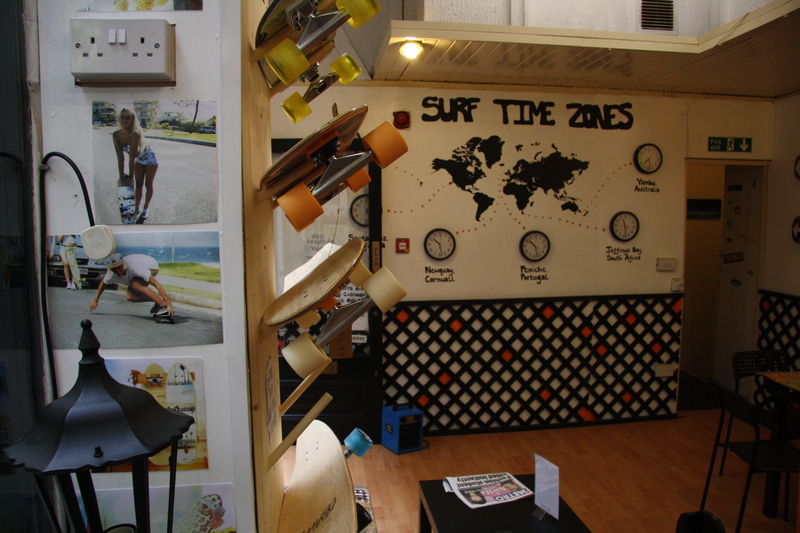 Tucked away in Duke Street Arcade is a new lifestyle café which wants to bring the surf, skate and snowboard culture into the centre of Cardiff. 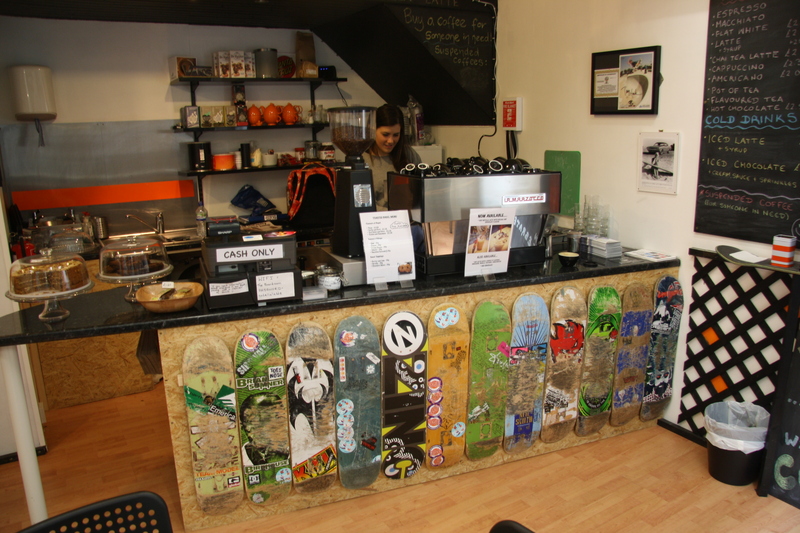 From the outset, it’s plain to see that The Boardroom is inspired by extreme sports: from the seats made of used skateboards (courtesy of Spit and Sawdust Skate Park) and the deck bunting, to the surfboard table and the mounted snowboards; a lot of love, care and attention has gone into the details. 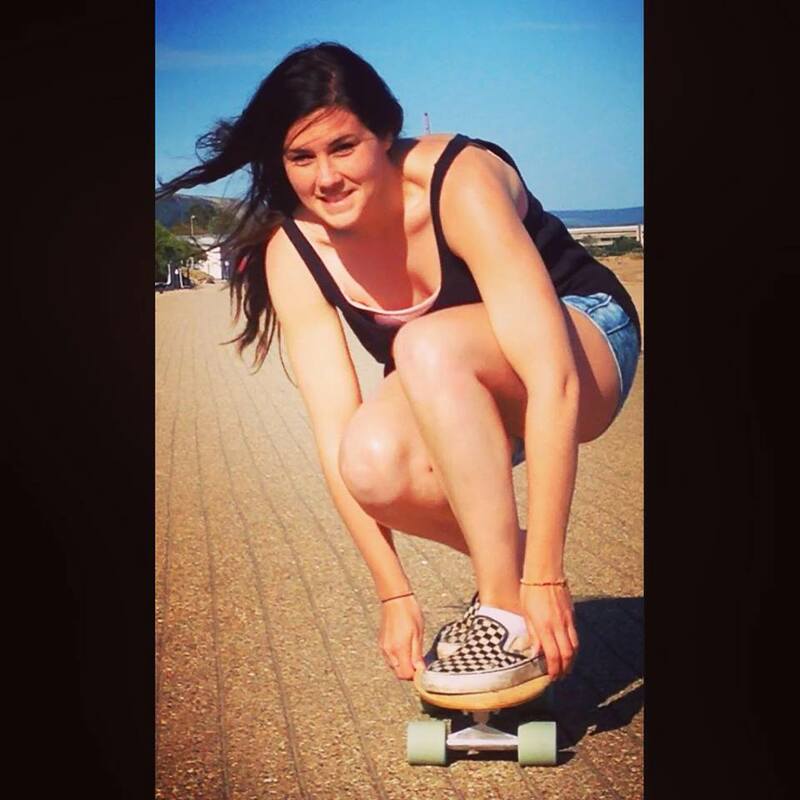 The owner, Caroline Nieuwenhuis, is a Cardiff local who has returned to her hometown after a stint in Newquay studying Surf Science and Technology and working as a surf instructor. At just 24, she has managed fulfil her dream of opening a café off her own back, with help from a Welsh Government grant, and she hopes to supply a place where people can meet, chat and hang out. And she has big plans. A TV set has just been installed to play back-to-back surf, skate and snowboard movies, and surf club socials and meetings are being organised. Extreme film premières and other events are also being discussed. But to be honest even without all that extra stuff, it’s just a nice spot to grab a coffee or a smoothie and have a break from work, shopping or whatever else you are doing in town. 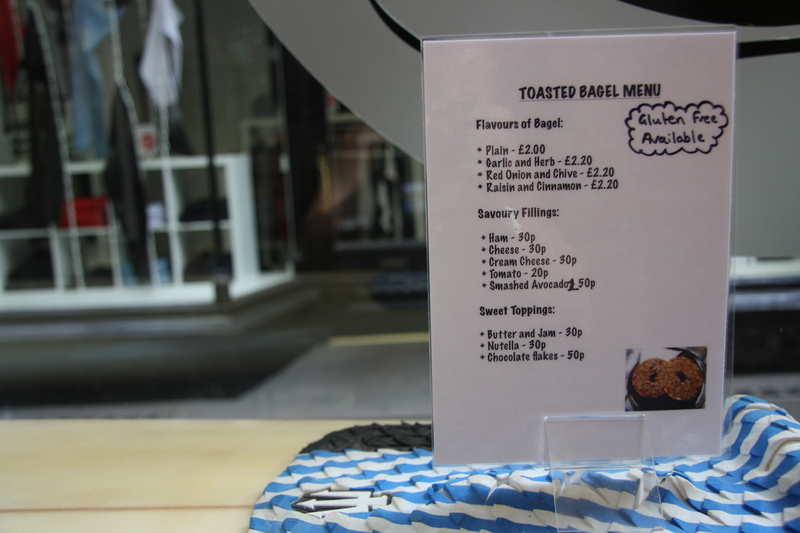 Food is kept simple with bagels (including gluten free) on offer, along with brownies and cakes. It’s a way to unite the subcultures of Cardiff which are ever present but a little disconnected. 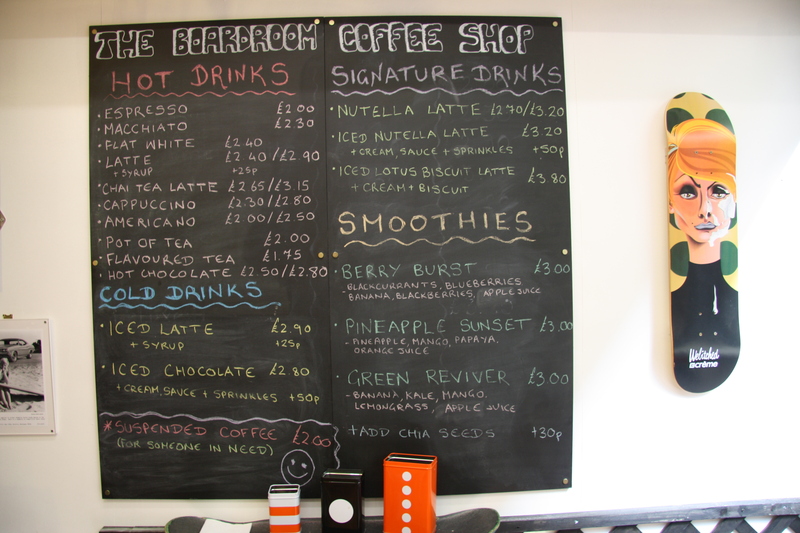 Without trying to sound too League of Gentlemen, is a local café owned by a local girl, so why wouldn’t you check it out? I can recommend the Green Reviver. It’s bloody lovely. ← We Are Cardiff gets a sister site … meet We Are Chester!